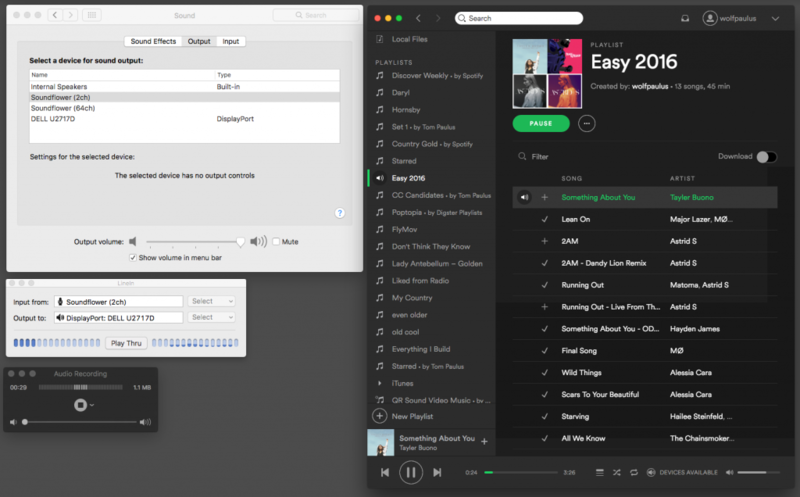 Originally, an iPod connected to your Mac, would show up in the Spotify app, allowing you to copy songs to the device and enjoy them later, when untethered. Not anymore. Fortunately, the analog loophole still exists; but admittedly, it’s a very inconvenient way to replicate the above mentioned lost functionality. 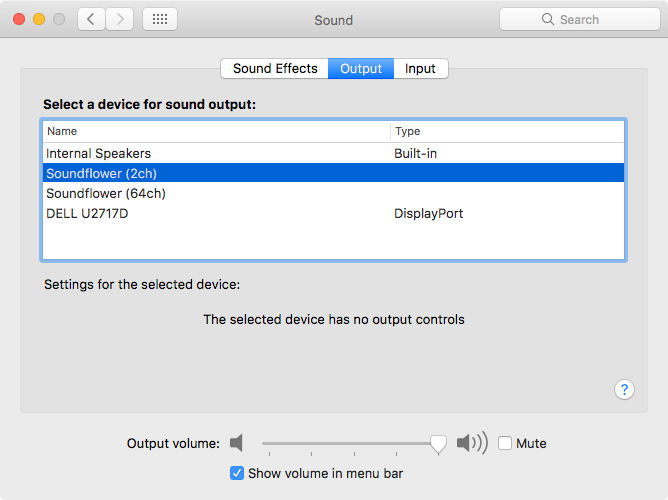 Step2: Select a Sound Output device. 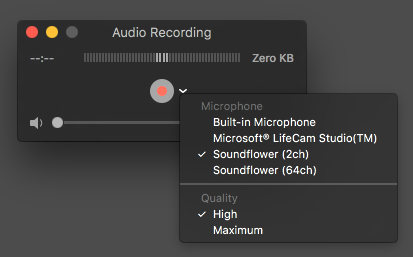 Open LineIn and select ‘Soundflower (2ch)’ as the input and your regular audio output (e.g. Internal Speaker) as output. Finally, press the ‘Play Thru’ button. 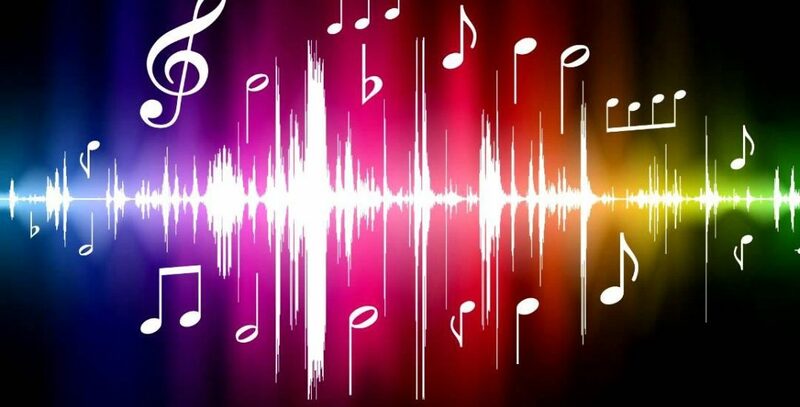 This will allow you to listen to music, playing through the speakers, while at the same time record it, on the virtual ‘Soundflower (2ch)’ device. For best quality, make sure to have high quality streaming switched on, in Spotify’s settings.